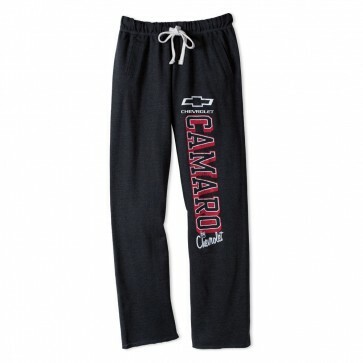 When it's time to relax, these men's lounge pants let you take some downtime in comfort. Made with soft French terry construction. Left front printed with Bowtie and "Camaro by Chevrolet". 55% cotton/45% polyester. Imported.